If you have been a writer for a long time, you’ll know the frustration of trying to get published in the days prior to self-publishing and Amazon. It was extremely difficult to incite the attention of an agent or publisher and when the rejection slips inevitably wound their way back, they often didn’t hint as to the reason why. 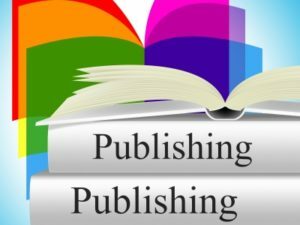 Now, self-publishing has become the norm. It opens up so many opportunities these days. It gives unique access to the dream that was typically forbidden to many – yes, even potentially great writers. Rejections were so commonplace that it took something more than a little special to earn an official ‘published’ status. So while self-publishing has made tremendous progress, there are still many people who feel unsure about the ethics of doing so. If you push that thought aside, instead, consider what self-publishing could mean for you personally. It gives you the chance to earn some extra money from your creative endeavours. It gives you the status of published author. It also means that you can build a dedicated readership and, still gain traditional publishing success if you so choose.